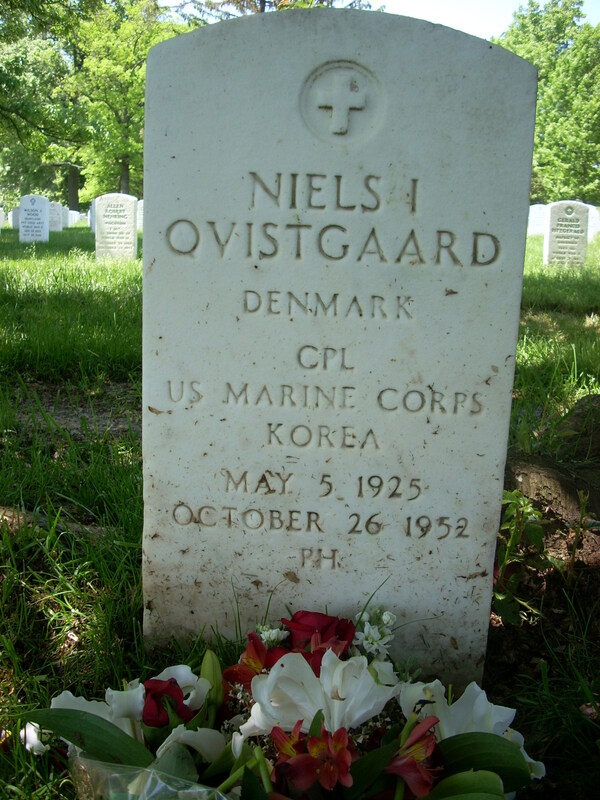 Corporal Qvistgaard was a member of the 7th Marines, 1st Marine Division. He was Killed in Action while engaged with the enemy in Korea on October 26, 1952. When King Frederick of Denmark visited the United States in 1960 he went to Arlington National Cemetery, not only to place a wreath at the Tomb of the Unknowns, but to also lay a wreath upon the grave of a United States Marine. 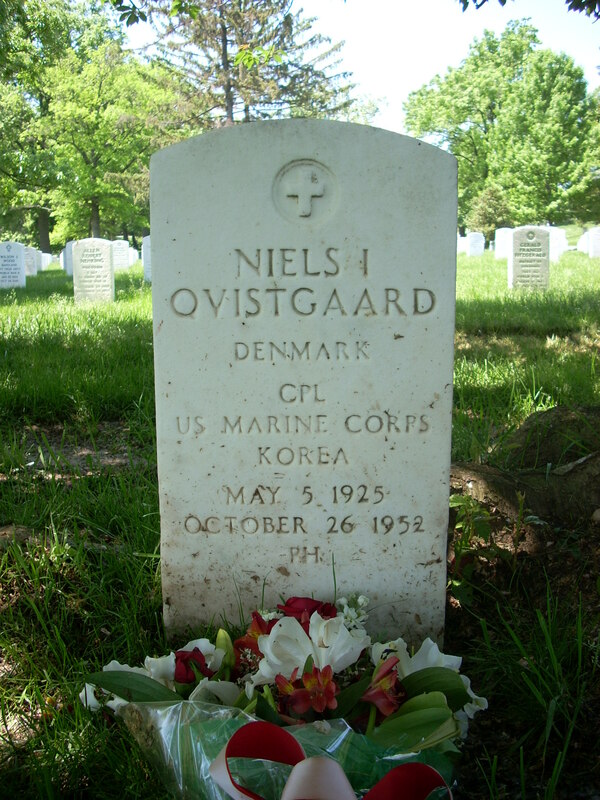 Qvistgaard, son of a Danish Admiral who was the Naval Attache to the United States in 1950, had deep admiration for the Marine Corps. He had previously served in the Danish Army and with the British Forces in Germany, but the Korean War had just broken out and he wanted to be a Marine. It took special exemtion to waive the citizenship requirements, but it was done. When he found that he had been ordered to headquarters duty, he begged for a combat assignment in Korea. He was subsequently made a forward artillery observer and was killed in action by a shell when the Communists attacked his region in October 1952. He had said that should he fall he wanted to be buried with his Marine comrades. 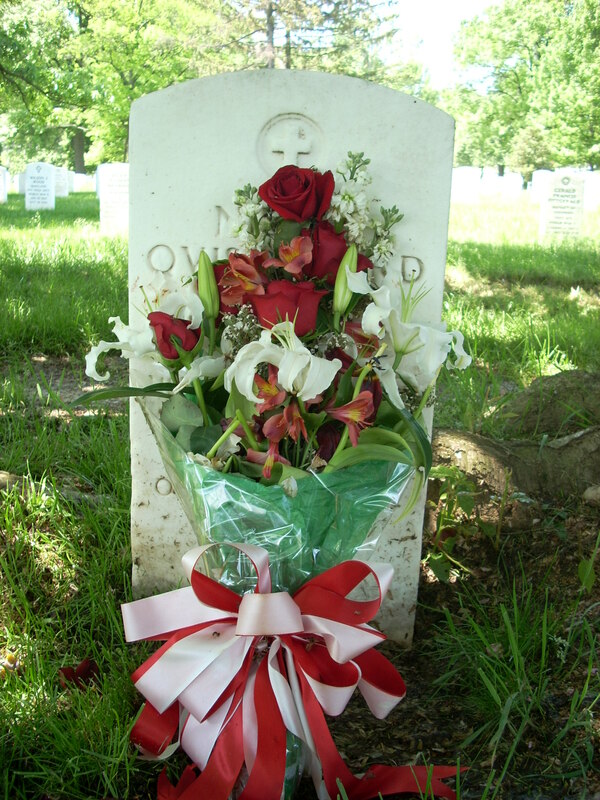 This request was granted and he was buried in Section 12 of the cemetery. President Truman wrote, in part, to his father, "He stands in the unbroken line of patriots who have dared to die that freedom might live and grow and increase it blessings. Freedom lives and through it, he lives - in a way that humbles the understandings of most men."